A trip thru neon-lit alleys, full of pulp fiction juvey rock, sci-fi theme songs and greasy denim hipster jive. Effortlessly versatile and raucously dismissive of genre constraints, exciting and darkly romantic. Dex, with his whip-wristed sister Sara Romweber on drums, take Images 13 through neon-lit alleys, full of pulp fiction juvey rock, sci-fi theme songs and greasy denim hipster jive. Effortlessly versatile and raucously dismissive of genre constraints, exciting and darkly romantic, Images 13 would make everyone from Duane Eddy to Stan Kenton to Lenny Bruce crack a smile, a joke or the seal on a fifth of rye and head for the Naugahyde ice bucket. Recorded at Rick Miller’s (Southern Culture on the Skids) Kudzu Ranch studio in North Carolina, the album bristles with a sense of drama, of tension, of release, of mystery. “Roll On” and “Long Battle Coming” display the cinematic sleaze nestled between The Cramps and West Side Story. Eerie ballads “Baby I Know What It’s Like to be Alone” and “I Don’t Want to Listen” reveal the crooning, bruised romantic, the harsh morning light of a strange hotel room, a Raymond Chandler novel on the bedside table. “Beyond the Moonlight” is part sea shanty longing and part campfire revival. Then, just as easily, the instrumentals take center stage. “Blackout!” updates Henry Mancini’s Peter Gunn theme with a dynamic tension and sly cool, and Dex and Sara attack the big waves off Maui with a chaotic rush on“Blue Surf” – his guitar guiding you into the sweet spot of the pipeline and her drums pounding you into the sand. Hey Tarantino, wake up! 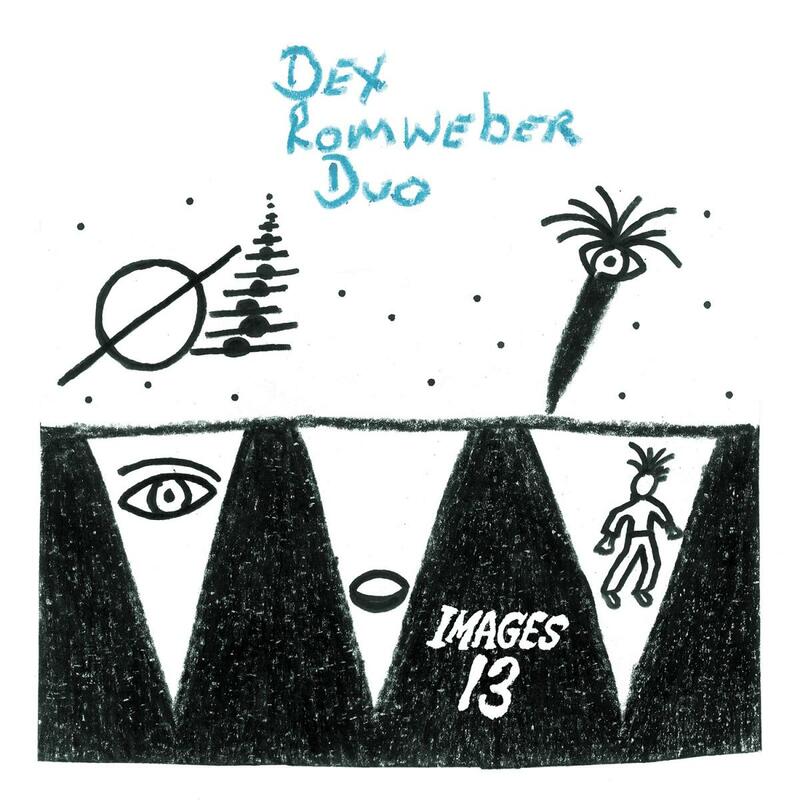 Digging into the skeleton-filled rock ‘n’ roll closet, Dex Romweber Duo comes up with some obscure and wonderful gems. The early Who track “So Sad About Us,” featuring Mary Huff (SCOTS) on vocals, hits an uncharacteristically sunny power pop vibe. The hopeful “We’ll Be Together Again” written by Eddie Cochran’s girlfriend Sharon Sheeley about his death in a car accident (that she and Gene Vincent survived). The song was never released formally but recorded by Jackie DeShannon in the early ‘60s. Finishing up the album is the music of Harry Lubin, who did theme music for shows like The Outer Limits and One Step Beyond. “Weird (Aurora Borealis)” is the music from the latter when ghosts, UFO’s, or odd paranormal experiences begin to rear their strange heads, complete with tribal drums and Melissa Swingle (Trailer Bride, The Moaners) on the saw. Romweber has always possessed a style all his own, and not just due to his gritty baritone voice, and that notion is more present than ever on this punk/blues/folk/Americana hybrid album. The Romweber sibling’s tunes invade listener’s ears taking them to a musical place most modern bands can only dream of. Images 13 is another batch of songs that are next to impossible to stop listening to. Images 13 compiles tracks that hang over your rear view mirror as cultish dolls dressed for a radio ride of surf music, vengeful blues, psychobilly and garage rock. What branch of Americana gets you excited? Southern blues? Hard roots rock? Folk? Surf? It doesn't really matter, because Dex Romweber has got you covered. Romweber is possessed by a passionate love of American roots music that encompasses rock & roll, rockabilly, jazz, country, movie and TV themes, and anything else that radiates cool and translates to the guitar. …gritty and raw, only meticulously so, riding on surf-tinged blues riffs and the frontman’s dramatic, growling vocals. Armed with his booming baritone and low-neck twang, the former Flat Duo Jets frontman delivers nourish nostalgia and retro roots straight from the garage. If, like Jack White, you’re already a fan, this is another proud entry into your Romweber library. But if the name is new to you, this is a perfect place to start your appreciation of an artist who remains one of America’s generally unheralded dusky treasures. With their preternatural ability to play with and play off one another, the Duo lays it out there with nothing to cover it up. And while many mistake “stripped down” for “easy” or “simple,” it takes a fearless mastery to pull the tortured blues out of the delta, the punk thunder out of rockabilly, and the deep, dark and glorious pathos out of cabaret. A collaboration of for the ages. Long time fan Jack White put Dex and his sister in the studio at his Third Man Studio and came up with this 2-sided slab of hillbilly noir folk-blues. A wealth of atomic-powered, sock it to me R&B and rock & roll hoodoo. Barrence, possessing otherworldly pipes that range from a low feral growl rumbling the nether regions to a scream that would make Little Richard blush, belts out originals and crate-diver covers. Some heavy punk-soul, brothers and sisters. This record has more grind in it than a 3 am cup of diner coffee. The original Black Godfather wants us all to know that he can still get around and get down with a Hellhound Sound that's as thick as an August night in the bayou. Debut CD whips up a witches brew of hillbilly hellfire and blues brimstone full of the locomotive rhythms of traditional bluegrass, the intensity of Mississippi roadhouse blues, and the full-on sonic assault of Slayer. Get rocked by the garage-punk meets western-movie soundtrack as wells as their newfound fondness for hefty doses of psychedelia and mellow SoCal country.